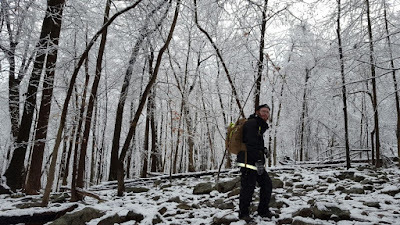 I was going to be traveling over Thanksgiving, so wanted to get a quick hike in before I left. 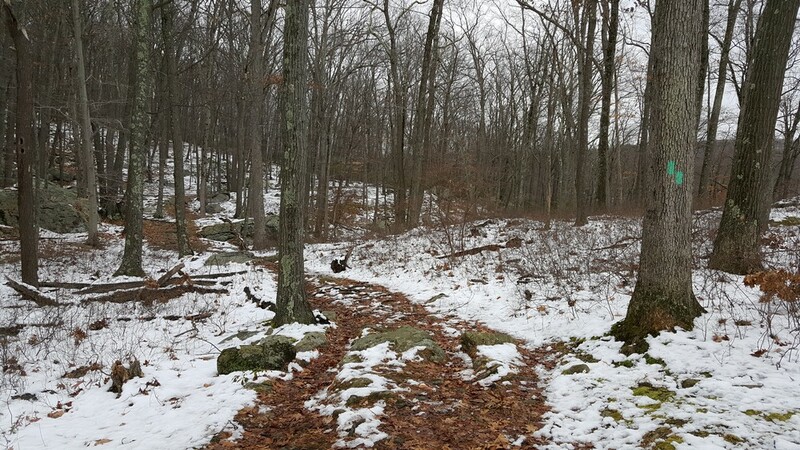 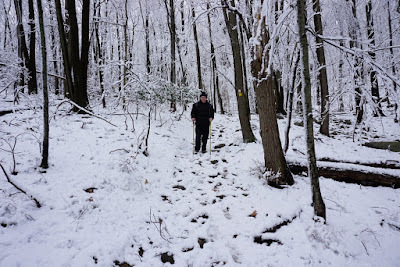 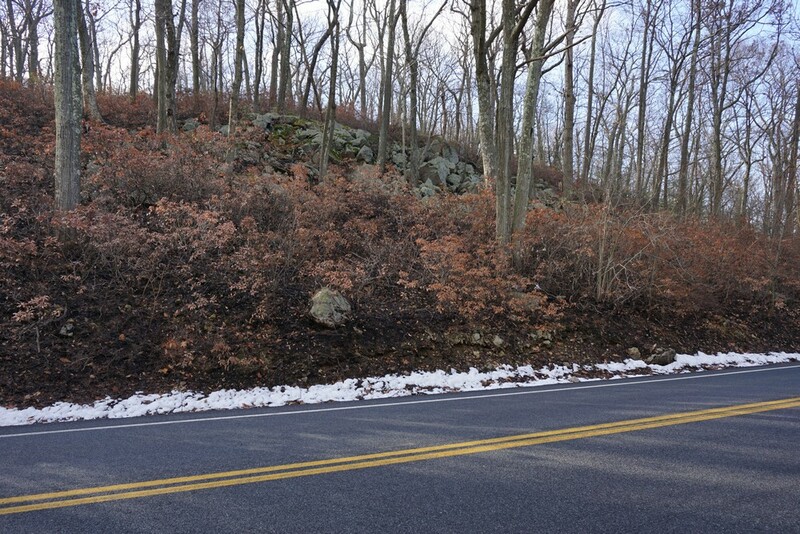 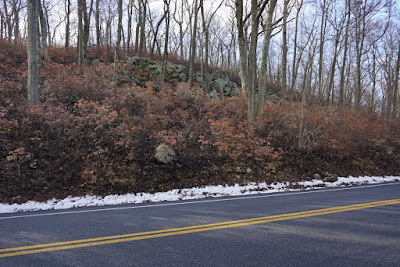 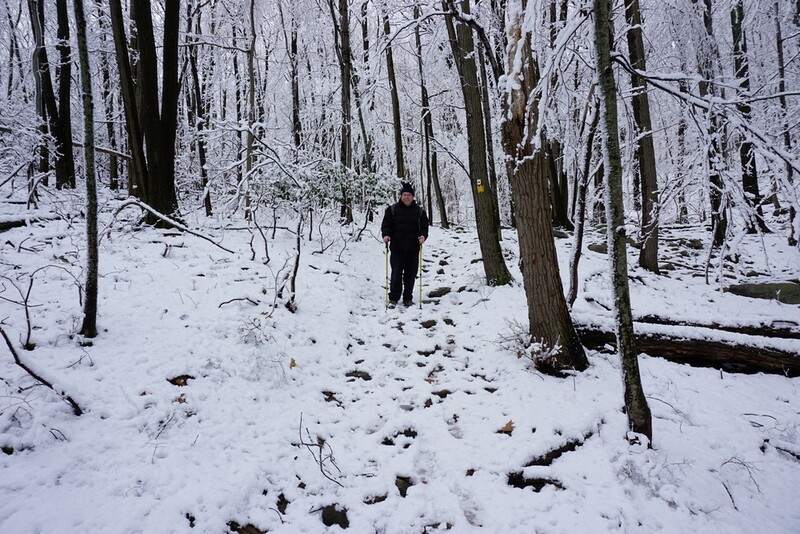 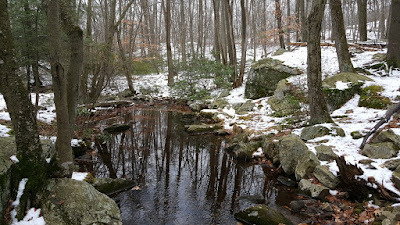 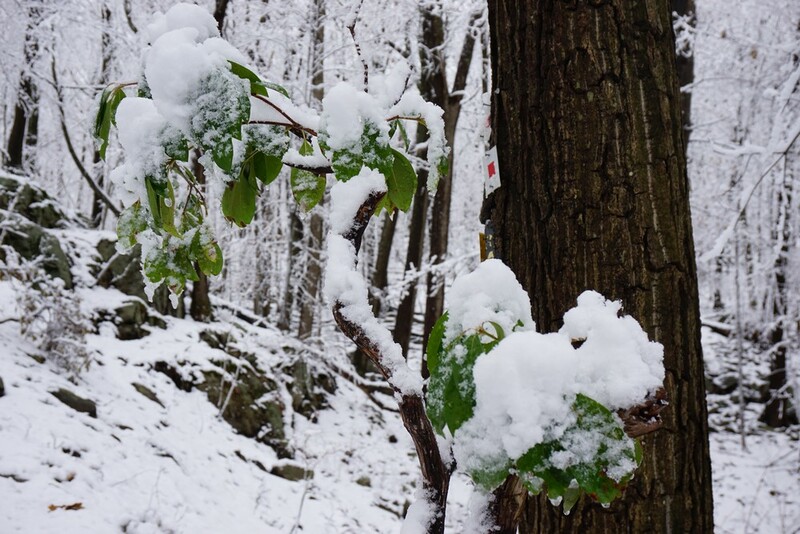 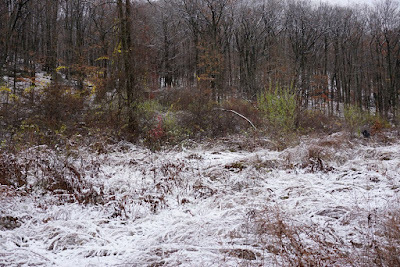 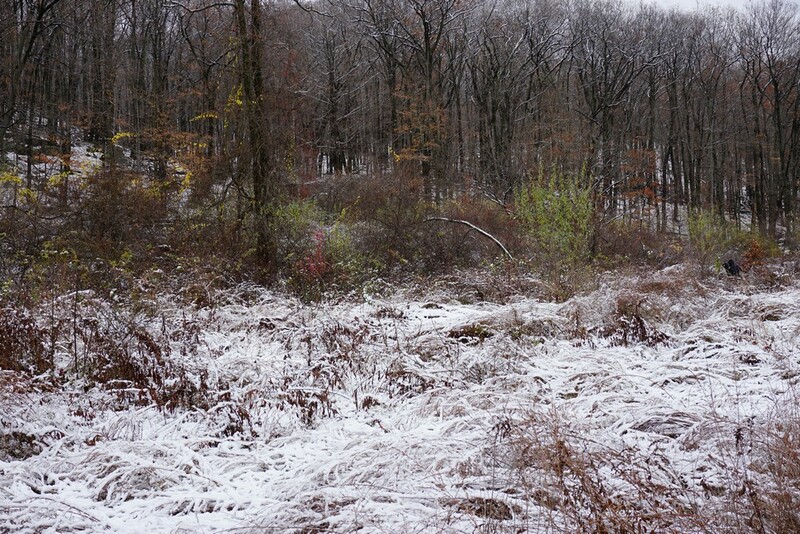 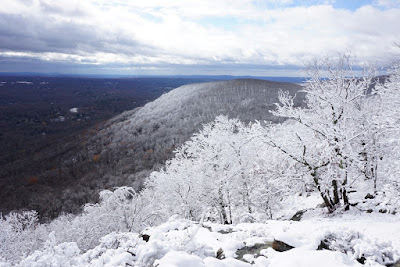 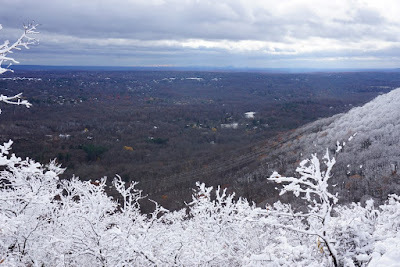 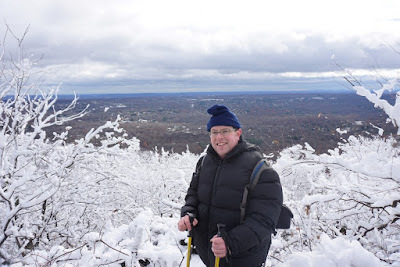 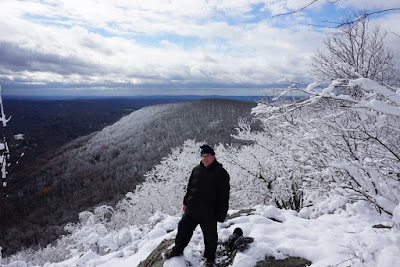 I heard there was still snow in the higher elevations, so wanted to do a walk where I could still see some of the snow. 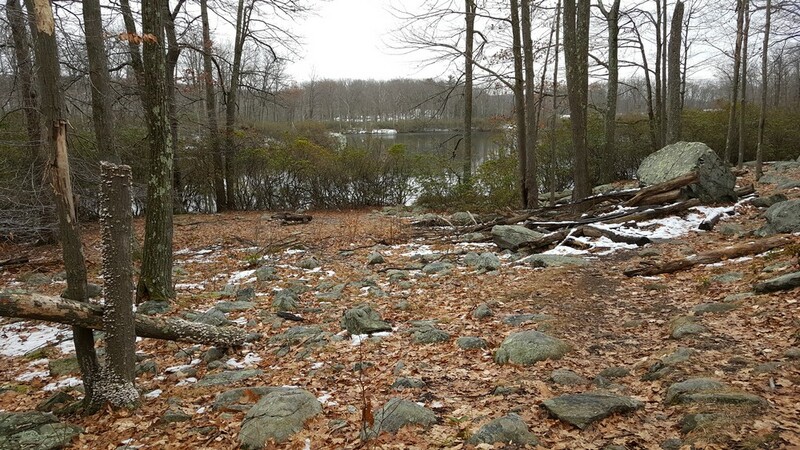 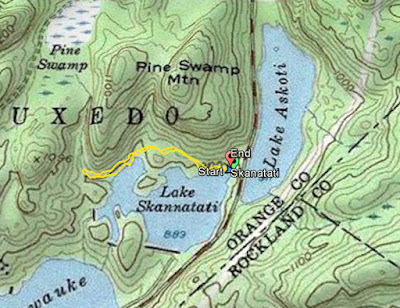 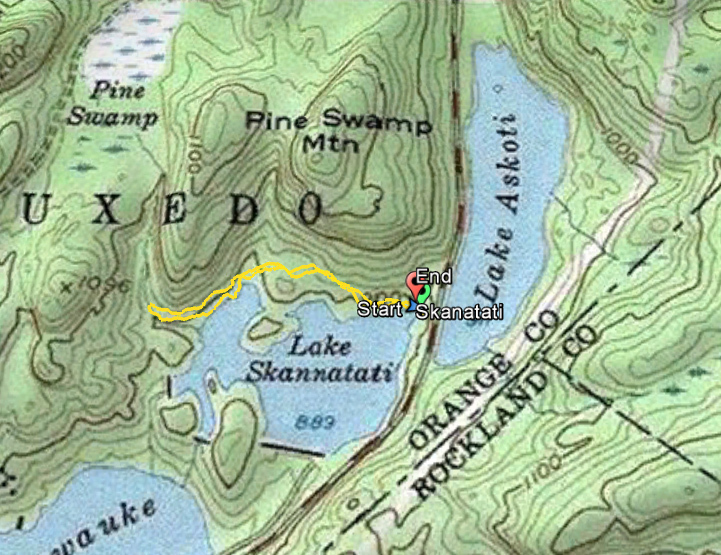 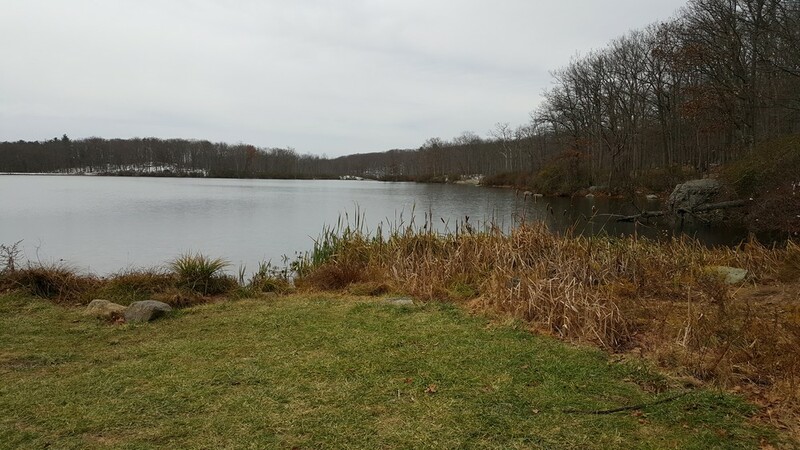 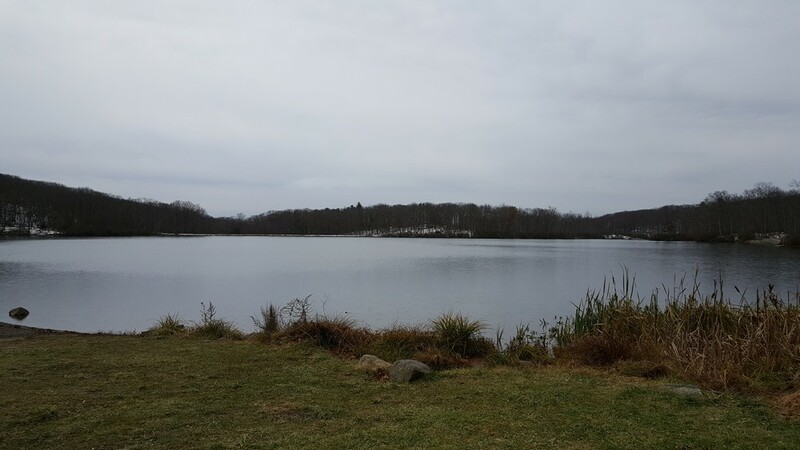 I decided to go to Lake Skanatati and walk along the Long Path until it crosses the Pine Swamp Brook. I parked at the lake parking area, went along the path the stream, and then turned around and went back the same way. The pictures below were taken with my cell phone camera, as I didn't have my regular camera with me. 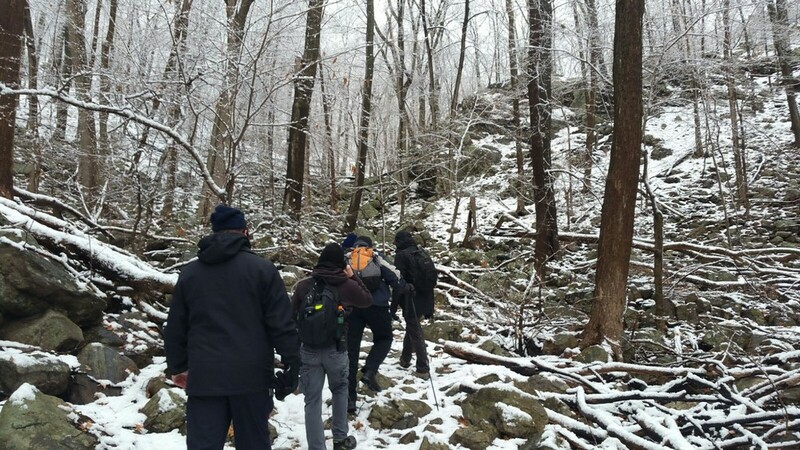 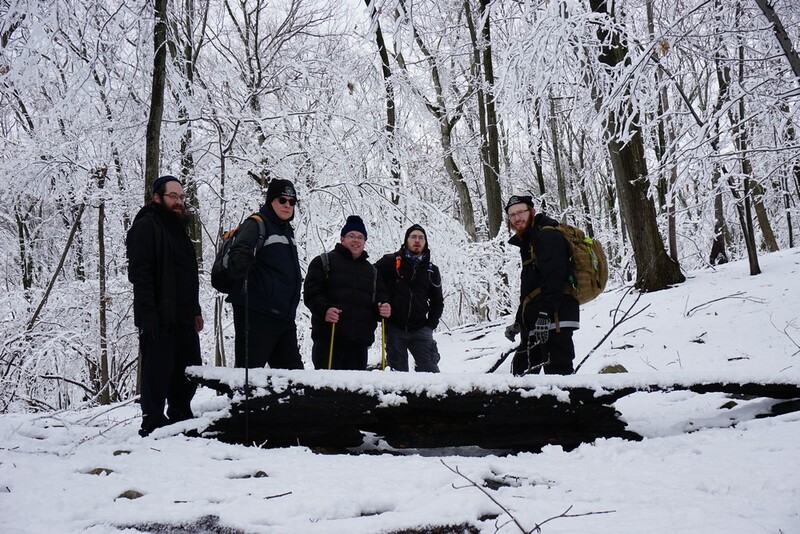 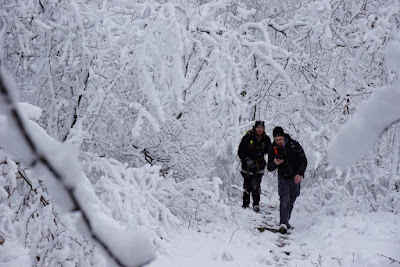 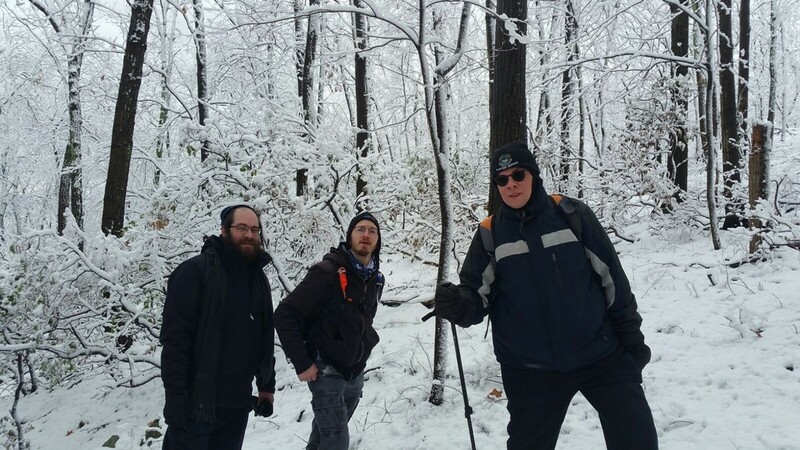 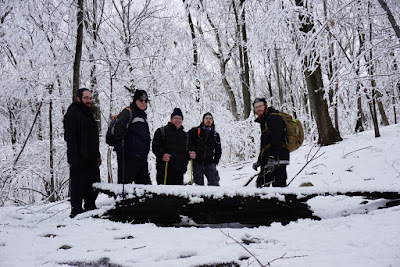 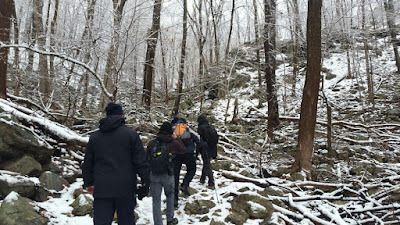 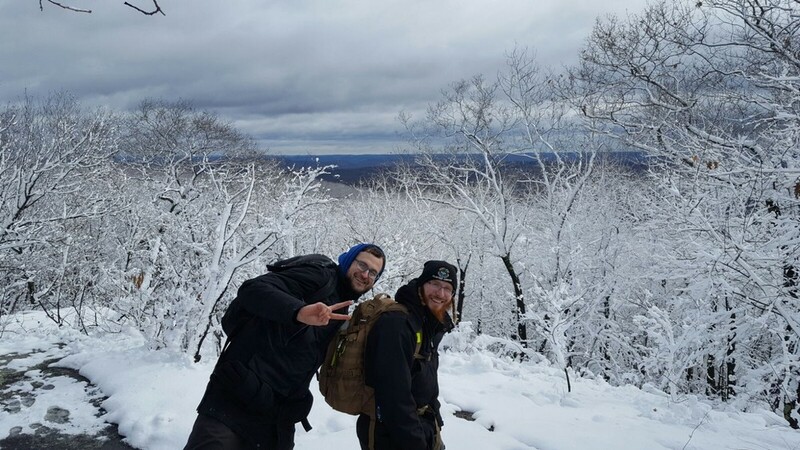 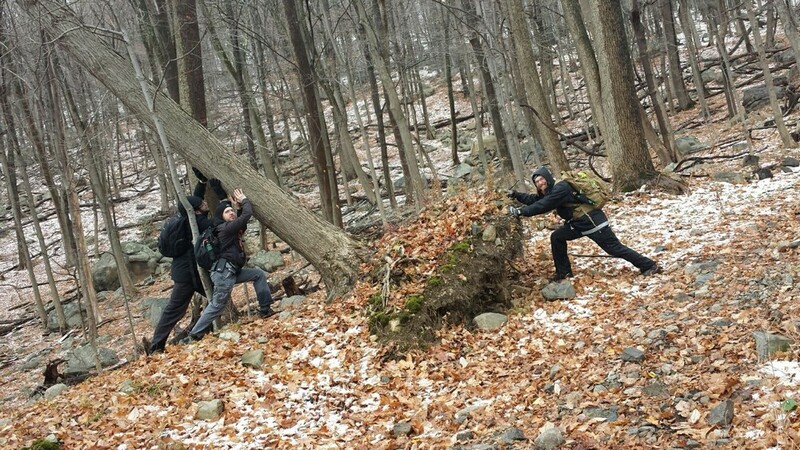 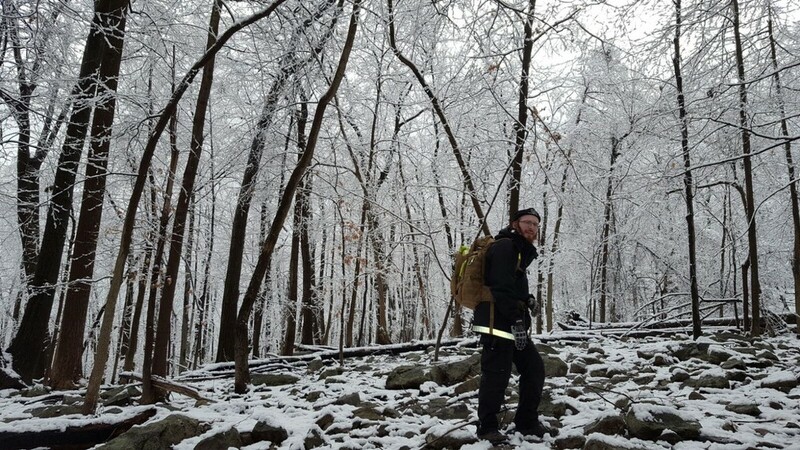 This hike was with a group of CommSAR members, as part of active Search and Rescue hike training program. 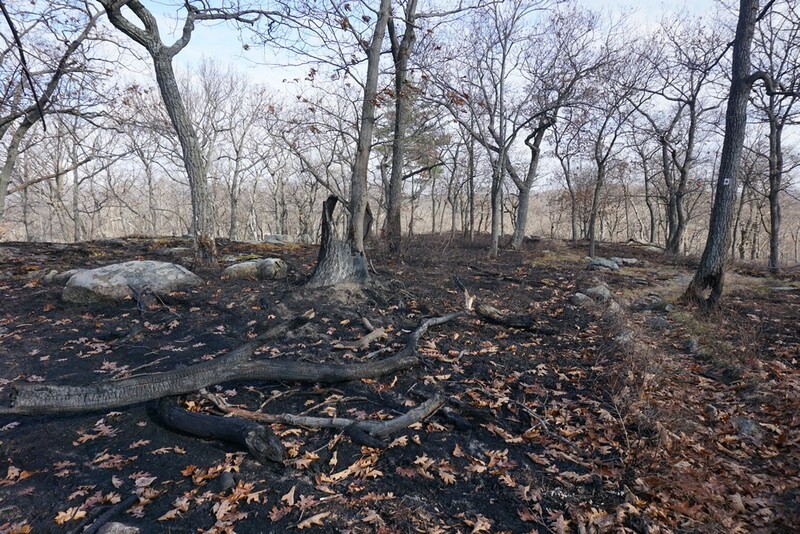 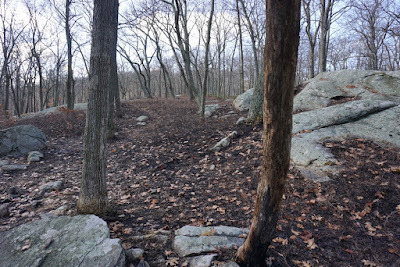 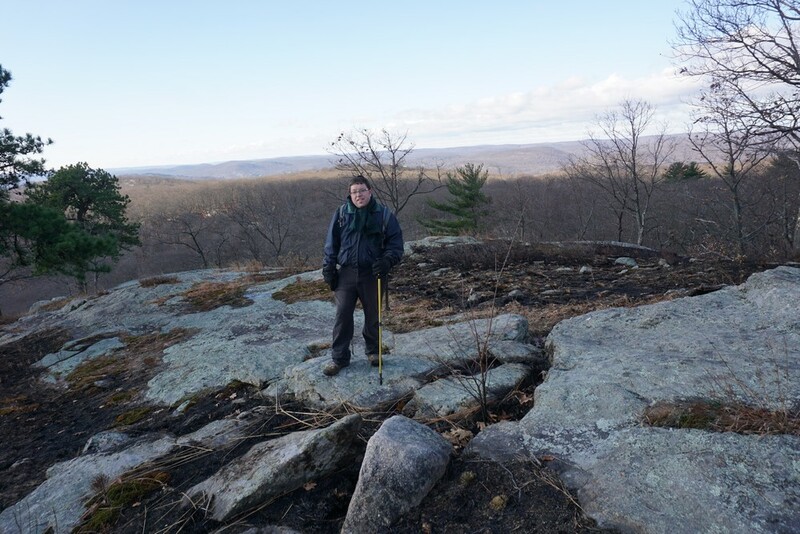 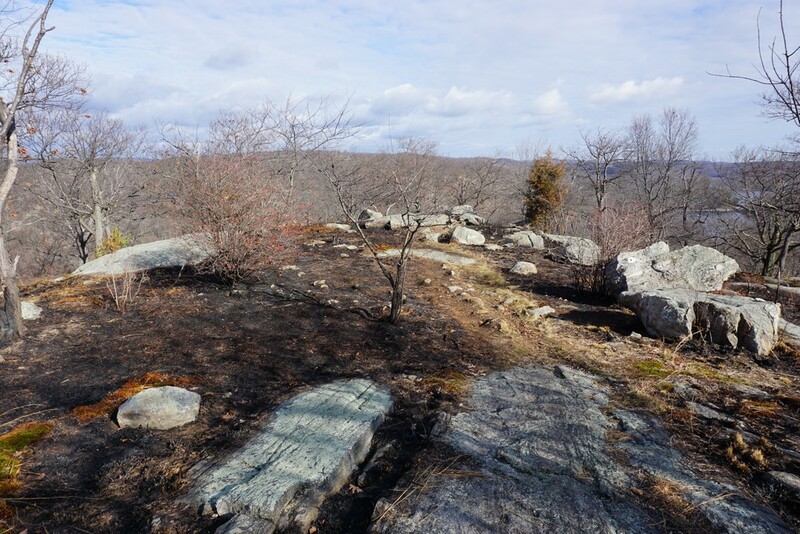 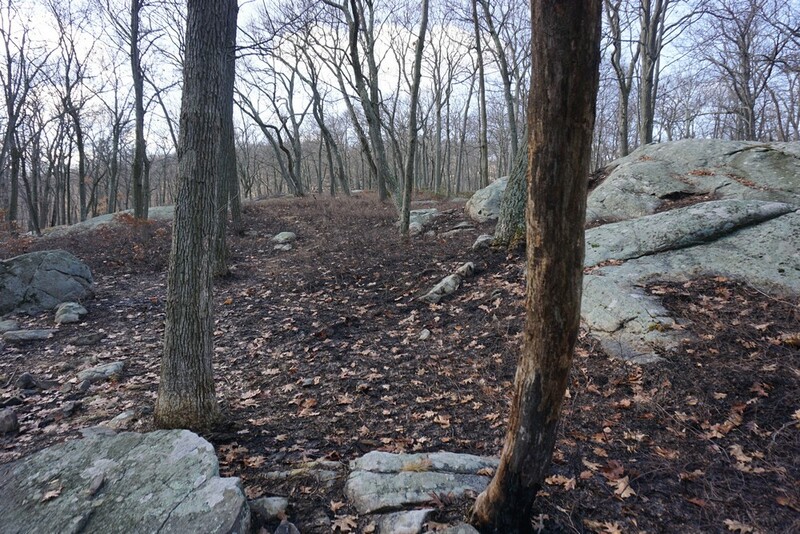 I led the group at the area where the fire was during the previous week at Catamount Mountain. I wanted to see the damage caused by the fire, and figured we would all go as a group. 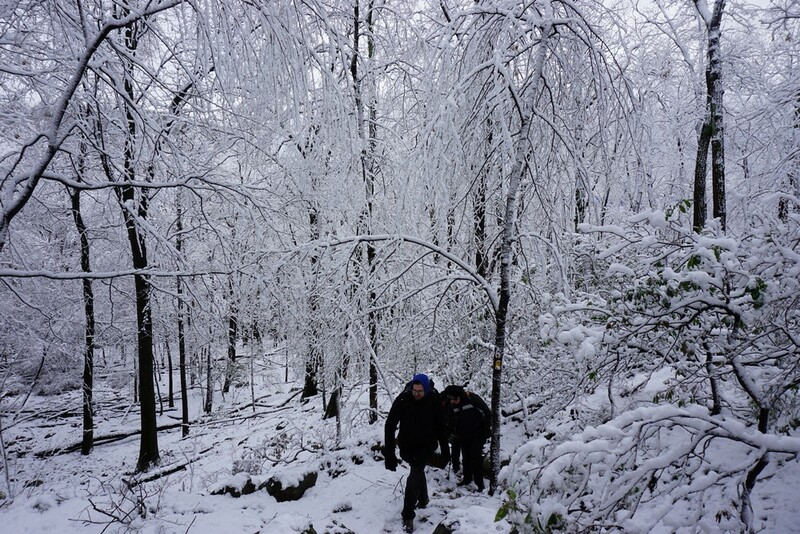 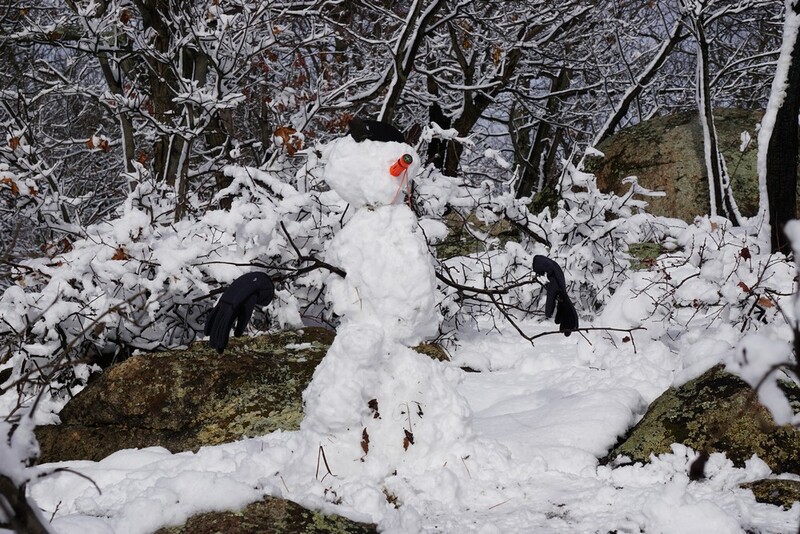 What totally surprised us was the amount of snow at the top of the mountain. 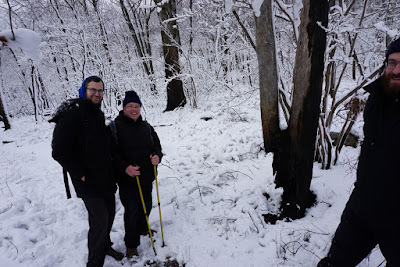 On the bottom when we started, there was just a slushy trace, but as we ascended higher the snow cover got thicker, and at the top there was about 4-5 inches of heavy, wet snow! 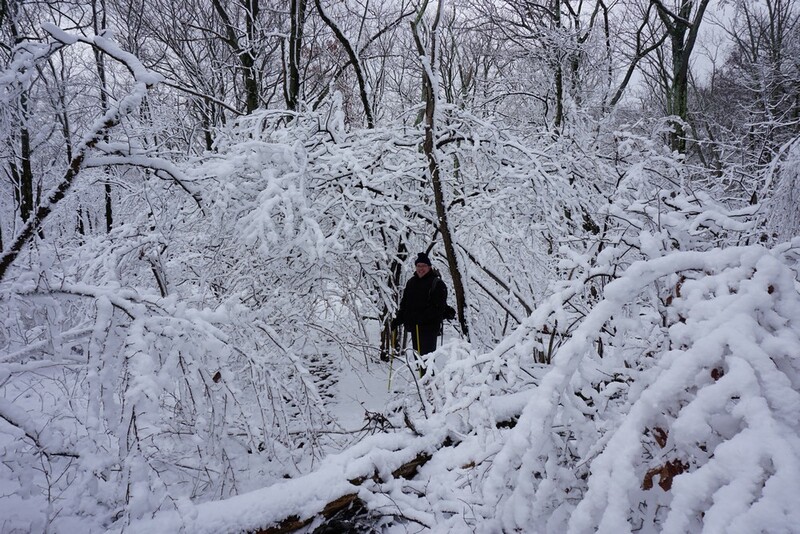 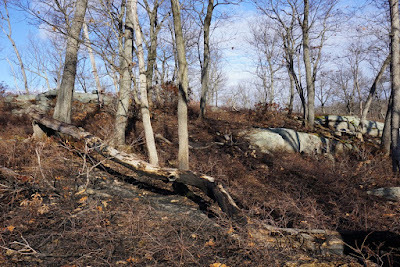 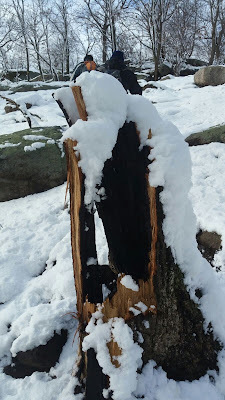 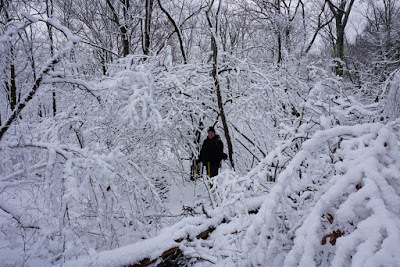 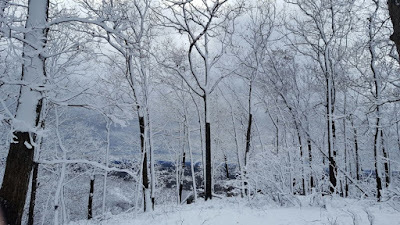 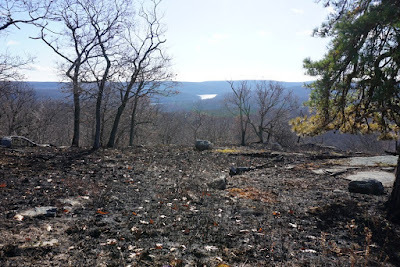 We couldn't really see the damage as everything was fully covered in snow, though we were able to see some downed trees, large burnt logs, and large tress partially burned at the bottom. 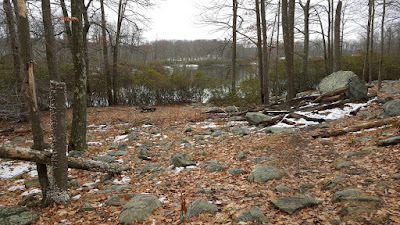 We started at the Pine Meadow Trail traihead at the Ramapo Equestrian Center. 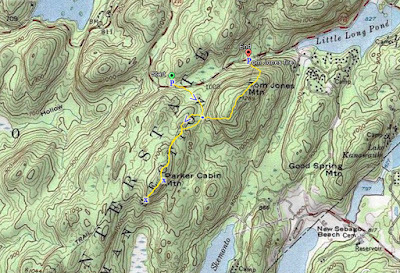 We took the Pine Meadow Trail up the mountain through the notch, and then merged together with the SBM Trail southbound up Catamount Mountain. 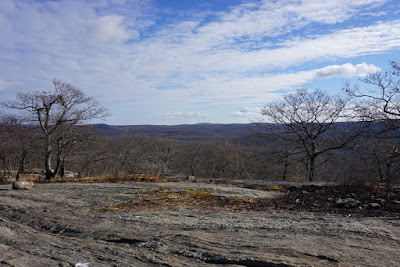 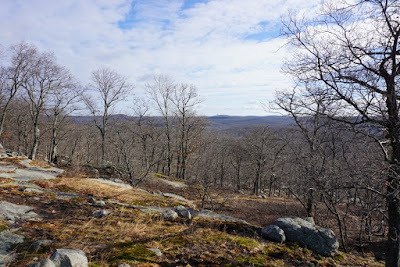 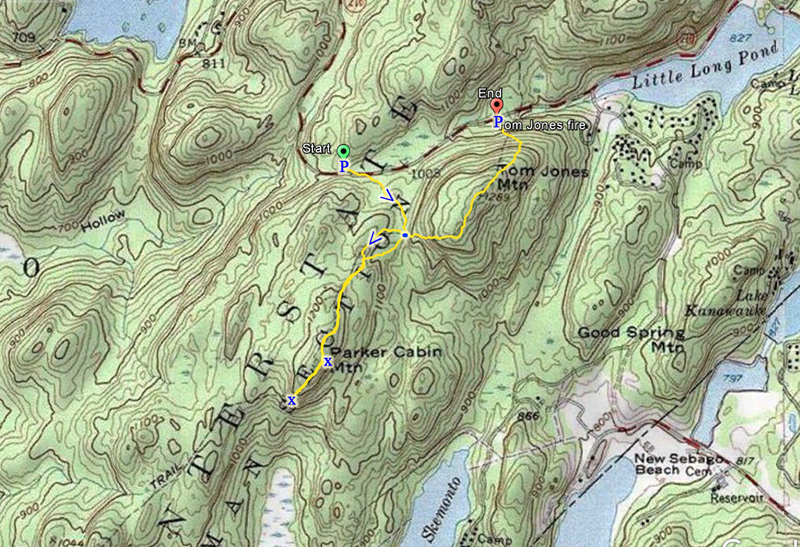 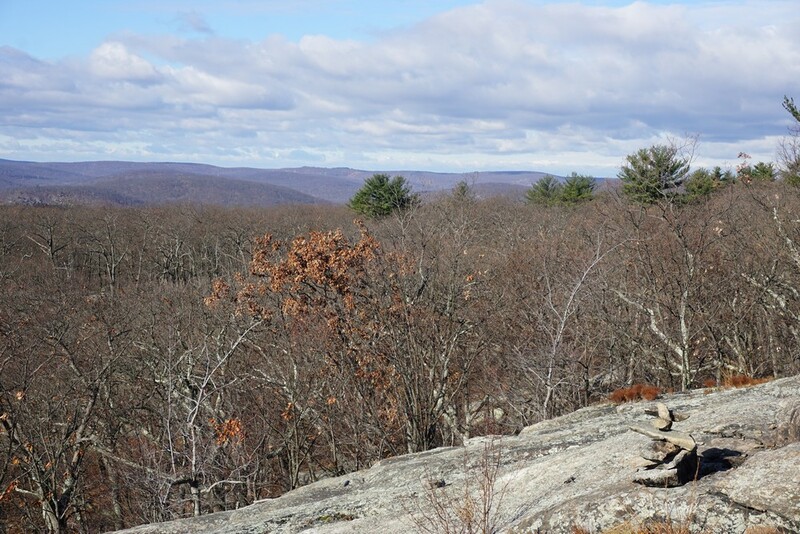 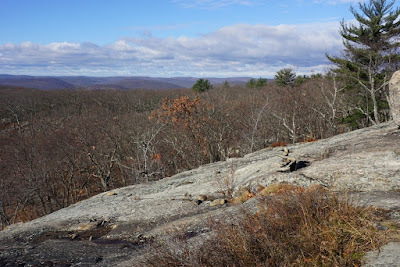 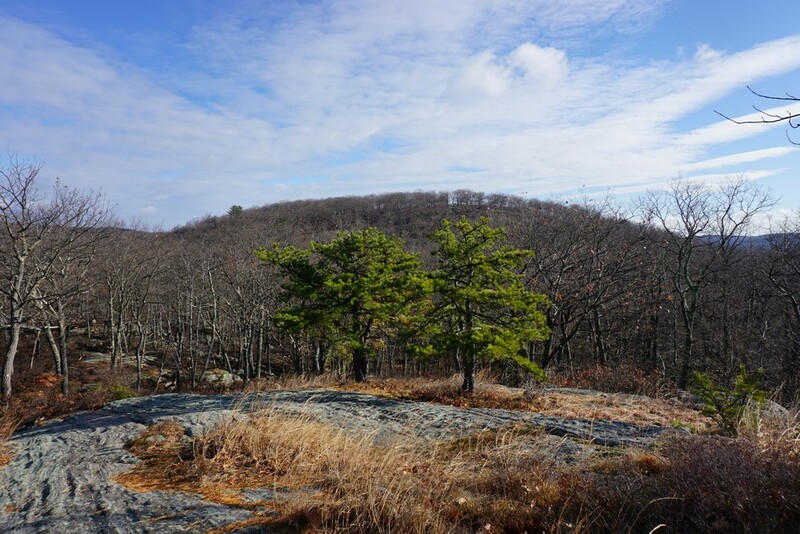 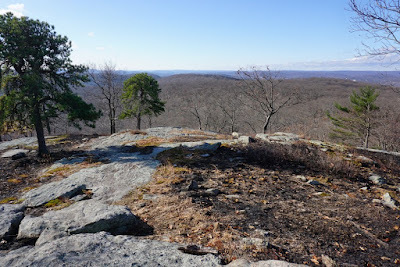 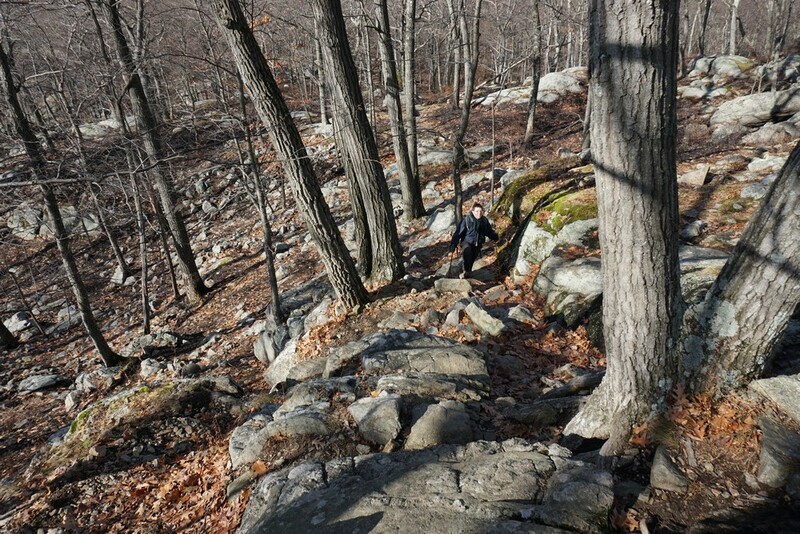 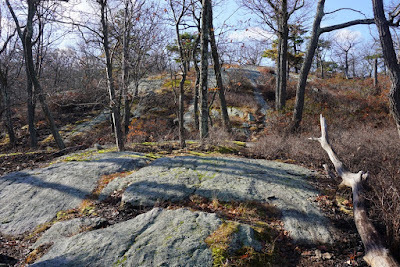 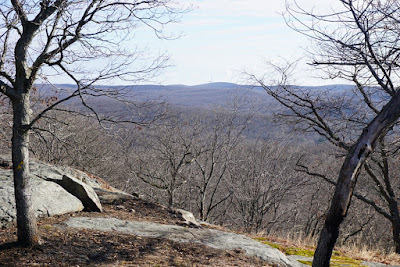 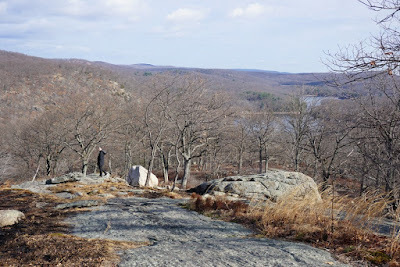 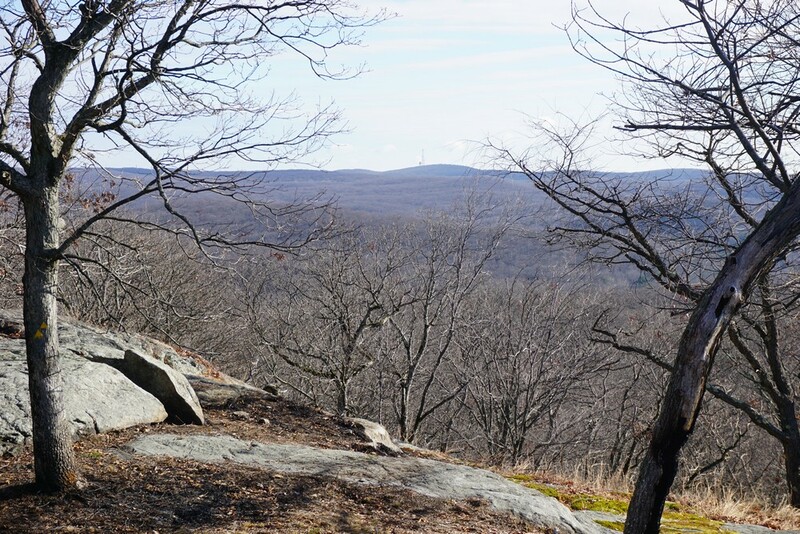 After the split of the Pine Meadow and SBM Trail, continued on the SMB trail to the view. In all my history of hiking, I have rarely seen such incredible scenery in the area. 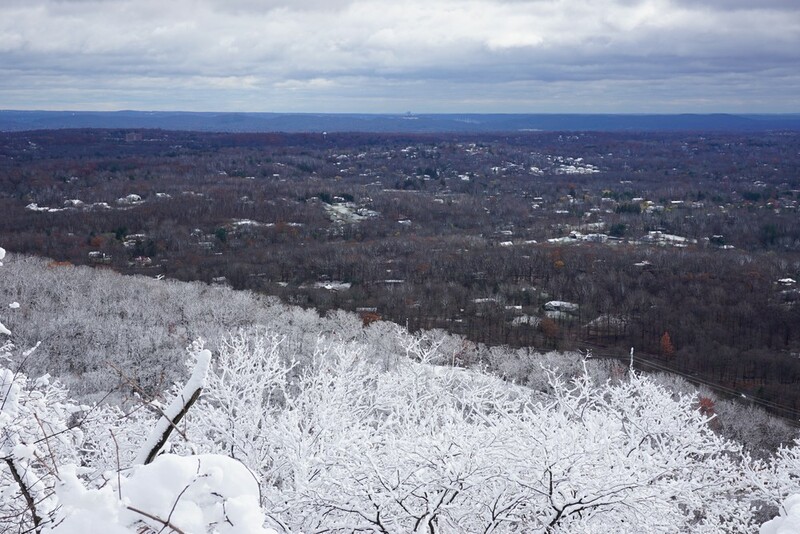 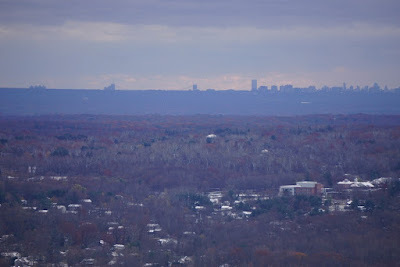 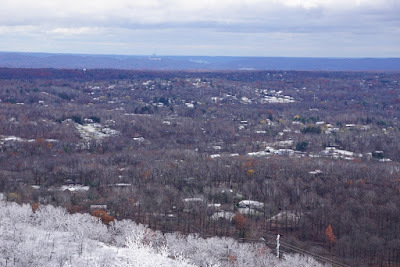 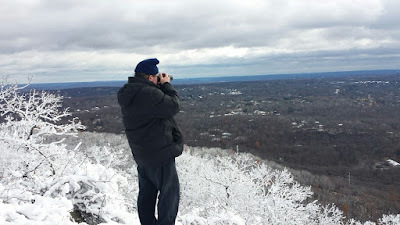 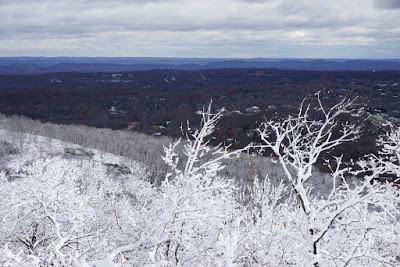 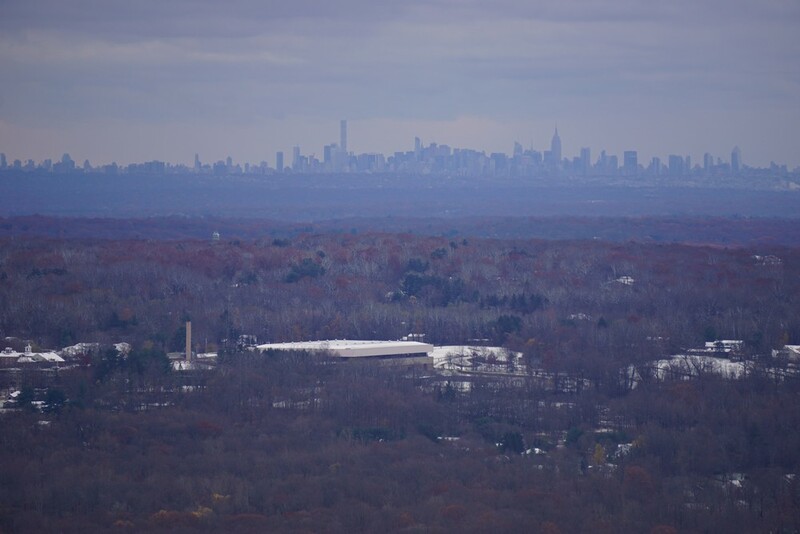 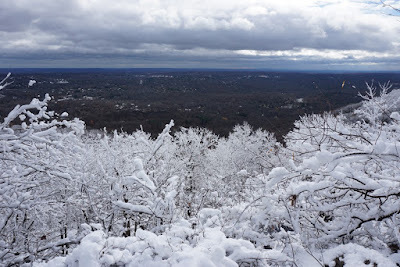 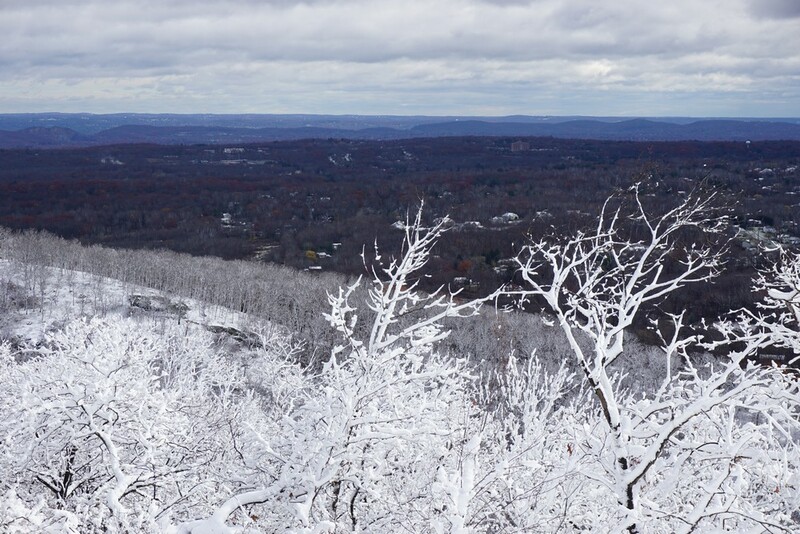 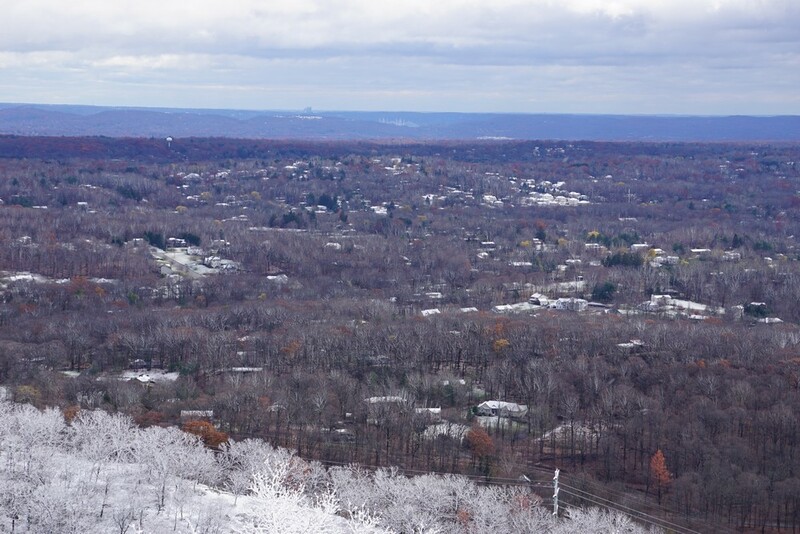 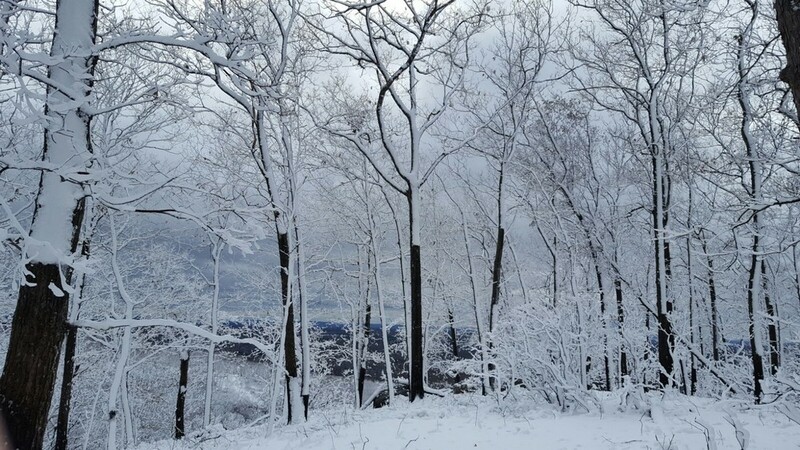 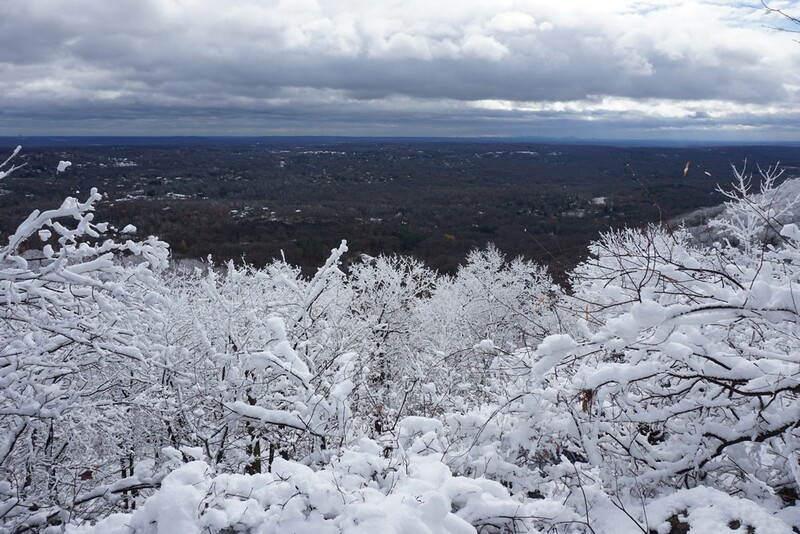 With the visible snow line contrasting two different worlds, of snowy mountains and non-snowy suburbia, with the Manhattan skyline in the distance, the view was epic. 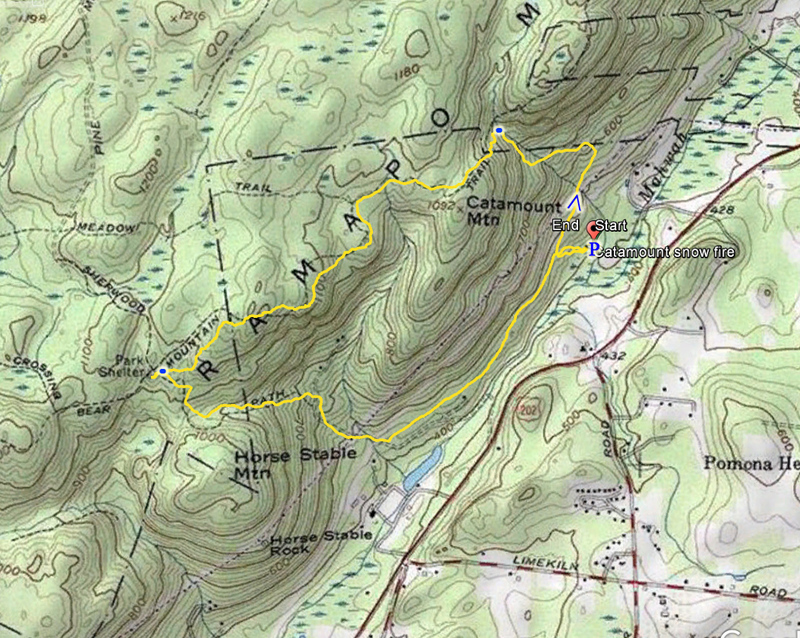 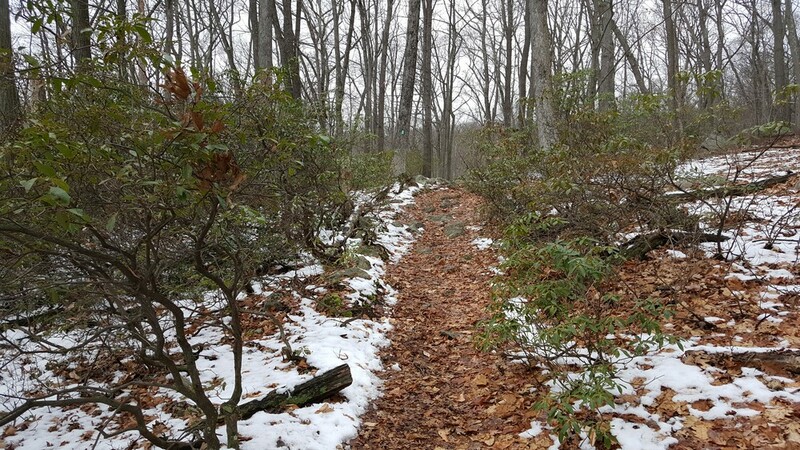 We continued along the SBM to the Stone Memorial Shelter, and then took the Pittsboro Hollow Trail down the mountain. 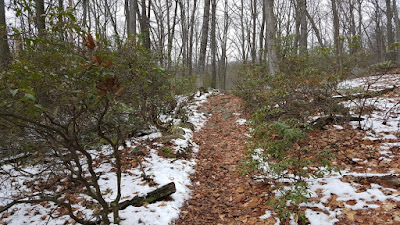 We then took the gas line route back all the way to the Equestrian Center, and back on the Pine Meadow Trail for a very short distance, and then back to our cars.